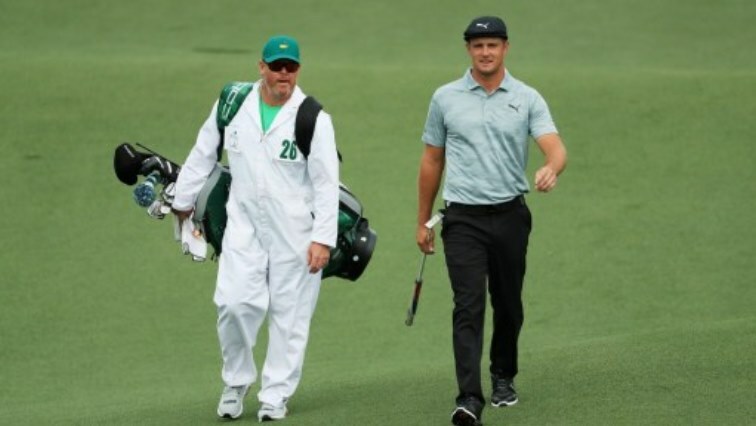 Bryson DeChambeau birdied the second hole on Friday to edge ahead early in the second round of the Masters, where his overnight co-leader Brooks Koepka took double-bogey on the same hole. DeChambeau rolled in a six-foot birdie putt at the par-five second to move to seven-under for the tournament. Koepka opened with a birdie, but he was in the woods off the tee at the second and dropped two shots — his first miscue of the week after a bogey-free first-round 66. As morning rain gave way to partly cloudy skies, three-time Masters champion Phil Mickelson birdied the second hole to remain one shot behind DeChambeau. England’s Ian Poulter, started the day two shots off the pace, rebounded from an opening bogey with a birdie at the second to remain four-under through six holes. Tiger Woods, who launched his bid for a fifth Masters green jacket and a 14th major title with a two-under par 70 on Thursday, was due to tee off at 1:49 p.m. (1749 GMT). Northern Ireland’s Rory McIlroy, aiming to rebound from a first-round 73 littered with six bogeys, was in the final group at 2 p.m. The post Early birdie lifts DeChambeau to Masters lead appeared first on SABC News – Breaking news, special reports, world, business, sport coverage of all South African current events. Africa's news leader..